Upper Michigan in the Fall is the best time to visit. With the variety of trees you get many colors. 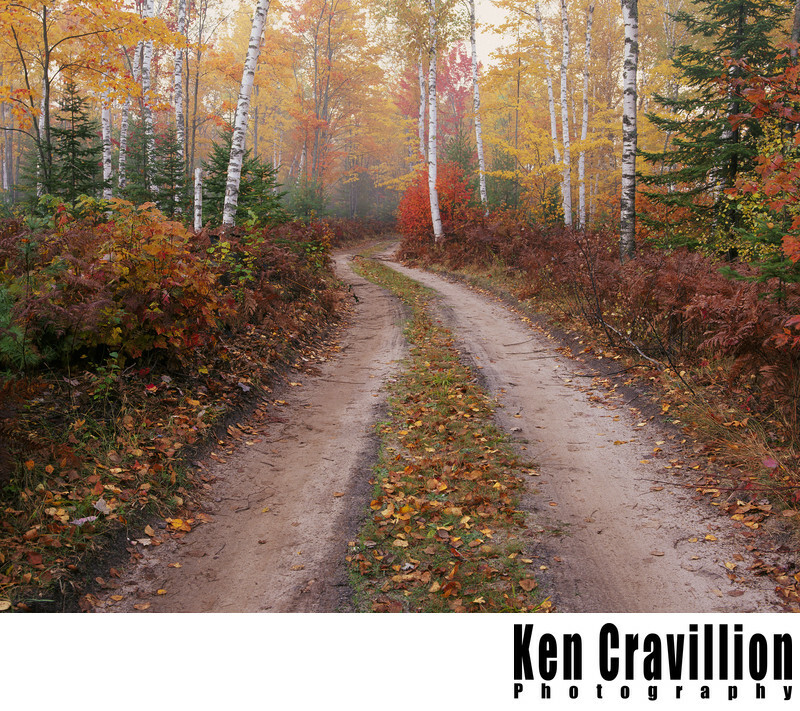 This forest road is found south of Munising and the Pictured Rocks National Lakeshore. I photographed this with a Pentax 645NII and 45-85mm lens.